The method of treatment often depends on the specific cause of gum issues. If the cause is poor dental hygiene or hard brushing, you can discuss with Dr. Jackson changes to make in your flossing and brushing behaviors. The use of a good mouth rinse every day can also help in getting rid of the plaque that forms between teeth. Dental picks or other types of interdental cleaner will be able to help as well in cleaning those difficult to reach spots. 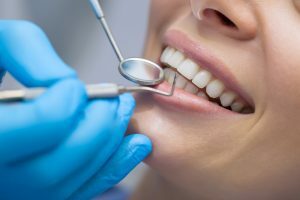 To learn more about prevention and treatment for gum recession, contact The Chicago Center for Cosmetic & Implant Dentistry in Barrington today!